Regardless of which airline you’re flying these holidays, you’re like everyone who wants to get home safely and without hassles. The airlines are kept busy and with the heavier loads and tight schedules, they need to keep things moving smoothly so there are no delays. We’ve been getting the latest advice from various airlines recently with the holidays coming closer and they all say the same things…. After being warned that we’d likely be waiting in a long queue to get checked-in and through all the familiarities when we flew through Charles Da Gaulle airport in Paris recently, we did everything online and sailed through the bag drop (past the long queue at the check-in counter) and had plenty of time to check out the duty free shopping. This is the picture at most airports, so it seems sensible to avoide the queues if you can. Many airlines, especially low cost carriers have a clause that will let them charge you for queuing for check-in in the traditional way. So save time and money and get it all sorted before you leave home. Some airlines (more and more these days, actually) let you send a code to your mobile to print your boarding pass at the airport – useful if you don’t have a printer. ** If you are flying internationally, you may still need to have your travel status verified – that you have the appropriate visas for the country you are visiting. In any case, you must have at least 6 month validity left on your passport. Jetstar has a comprehensive page with all the instructions on different check-in methods, or you can go straight to their online check-in page. AirAsia have long encouraged web check-in and have a provision for charging you for a counter check-in. However, they won’t make you pay if you are identified as ineligible to do so. 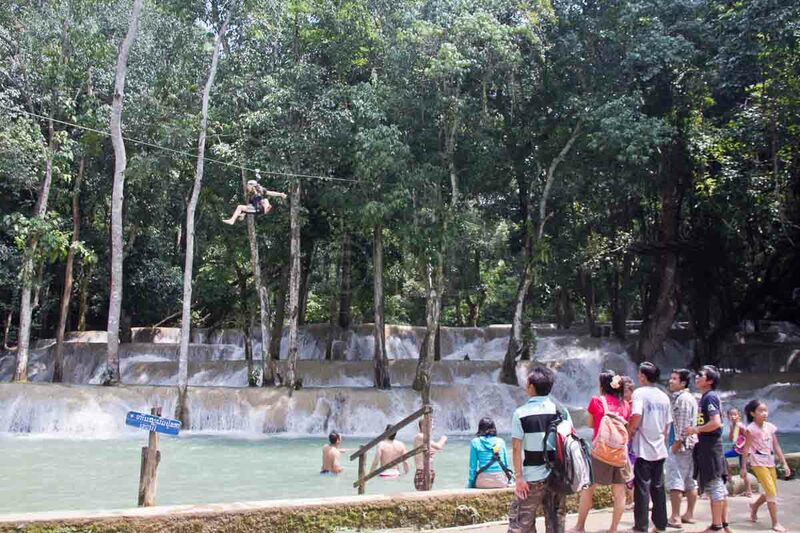 As such, it’s best to do it yourself if you can and either printout your boarding pass or send the code to your mobile. If you need to reprint a boarding pass you can also do it at this link. You can check-in up to 14 days before your flight, up to 4 hours before for AirAsiaX flights, 1 hour for AirAsia flights..
VirginAustralia, strangely, do not allow online check-in for international flights. However, they recommend it (or self check-in at the airport) for all domestic flights. For all the information and links you need, on their website. More information on online check-in. Self check kiosks are becoming more visible around airports and are becoming easier to use as the process is refined. A number of SITA common-use check-in terminals have been installed in Malaysian airports, which can be used to check in for different airlines. AirAsia have been progressively implementing the use of their own self check-in kiosks and they are introducing self-tag bag drops at a growing number of Malaysian airports as well. If you are travelling on MalaysiaAirlines, they have a full set of instructions to help you. 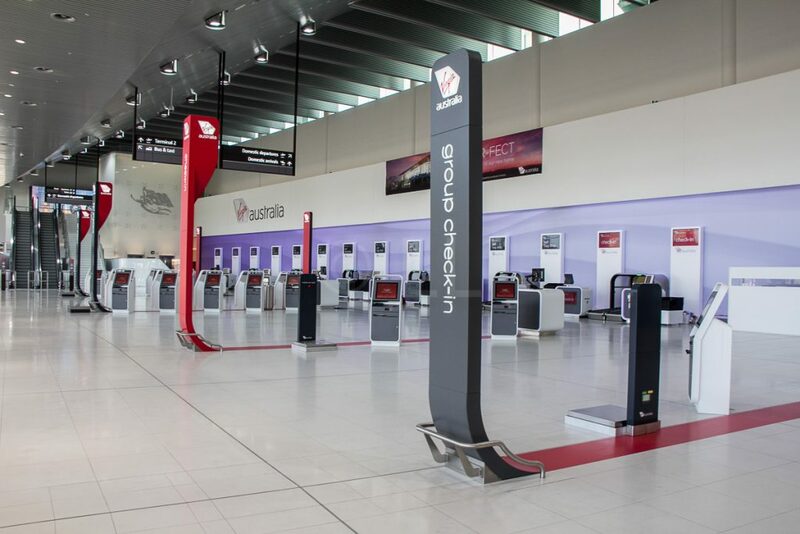 If you’re travelling within Australia on either Jetstar or VirginAustralia, they’re both installing more and more self-check-in stations and the new state of the art Virgin terminal in Perth which opened on 22nd November 2015, doesn’t appear to have a traditional check-in counter at all! There are some useful little videos that may prove helpful HERE. Most airlines are being very vigilant about how big and/or how heavy you luggage is, both checked bags and hand carry and most carriers around Australia/Asia are very quick to charge you lots of money for exceeding the limits. So read the rules and be aware that it’s likely to cost you plenty if you are ‘over’. If you really must carry the extra, go online before you leave for the airport and add more checked allowance – it’s much cheaper than paying at the airport. If you’re using bag-drop services, a good rule of thumb is to get it in an hour before the scheduled departure to make sure it arrives with you. VirginAustralia even have a helpful page advising you, not just on your baggage, but also on dressing appropriately. Read our stories on hand luggage allowances and checked baggage. In more relaxed air travel times, you could linger at the bar or cafe with your friends and wait until you heard your name being announced with increasing levels of urgency before you decided you’d really better make a dramatic looking run. This was in the days before the multiple levels of security checks and long queues at immigration, often because ‘everyone else is travelling too’ and enticing displays at duty free shops in the departure area. Nowadays, more and more airports are becoming ‘silent’ (Melbourne’s T4 for one). They are not going to call you, you need to watch for colour coded departure details. In addition, with larger airports, you may have a long way to go once you pass the entrance before reaching your departure gate and they will.go.without.you if you aren’t there by the designated time. So be ready and be on time, there’s usually plenty to do ‘inside’. You can go shopping, have a meal or a coffee and many airports offer free wifi and power outlets for your devices so you can keep in touch or just relax.